Look! It's your friendly neighborhood Spider-Man! Is your spider-sense tingling? 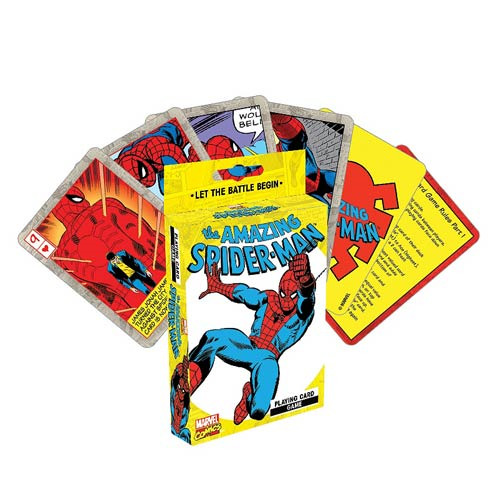 Get ready to swing into action with the Spider-Man Playing Card Game, combining specialized images and instructions and doubling as a regular deck of cards. You get two games for the price of one! Start your radioactive blood pumping, wrap your spider-grip around this deck, and let the fun begin! Ages 6 and up.